Hey guys! If you've been reading my posts you'd know I'm officially a diva.. Let me rephrase that, I'm officially subscribed to Diet Diva for this week. I also promised to keep you posted so here's what I think. I was quite worried not getting the delivery on time because I sometimes leave home early for my morning clinic but surprise, surprise! They delivered my meals as early as 6:30 AM! I value punctuality so I'm really happy they do too. The meals were placed in microwaveable transparent containers and were individually labelled so you'd know which one's for breakfast, lunch, dinner and snacks. You get to keep the containers and reuse them personally or give them back to the delivery guy the next day. I appreciate their SMS welcoming me to the program including a few reminders like what to do if you feel hungry in between meals. They also have recommendations on what to eat just in case you need an extra boost before a workout. 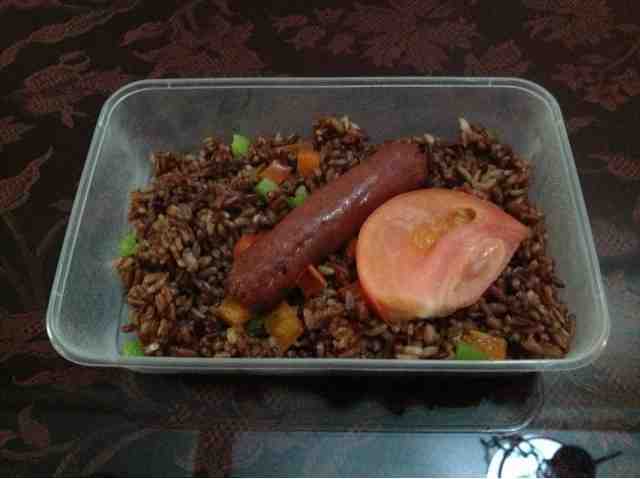 Breakfast consisted of Longganisa in High-Fiber Pepper Rice Mix. The Longganisa tasted really good while the Rice Mix actually tasted like fried rice. The tomato was a great add-on to compliment the Longganisa. This meal deserves ★ ★ ★. For lunch, I had Tuna Steak in Creamy Curry Sauce which was good and didn't give a fishy after taste. Although there were a few fish scales, they didn't bother me too much but the dish would've gotten a higher score without them. The Red Mountain Rice tasted like steamed unpolished rice but more grainy in texture. I missed taking a picture because I was too hungry I ate right away and realized it halfway through eating. Anyway, I give this meal ★ ★ ★. Dinner was by far the best meal of the day because the Chicken Jambalaya tasted great! 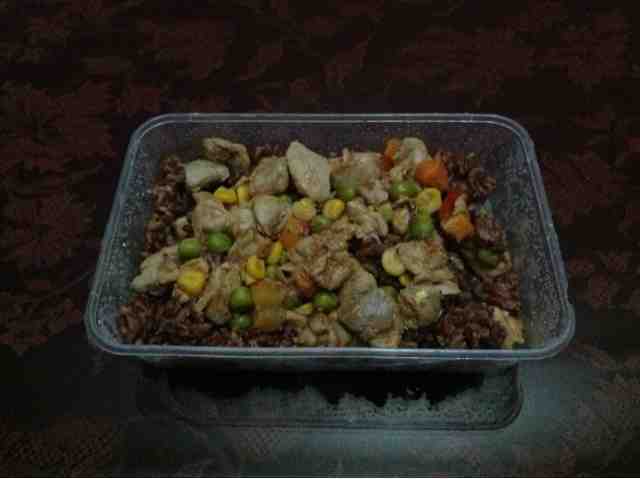 The chicken meat was cooked perfectly with the corn kernel, green peas and red mountain rice. The ingredients complimented each other quite well. This is why it deserves ★ ★ ★ ★. As for the snacks, I actually didn't get to eat the banana but I did drink one serving of CarbTrim. Good thing I registered to Diet Diva because now I know that CarbTrim tastes so good and that it only has 8 calories per serving! CarbTrim deserves a whopping ★ ★ ★ ★ ★. Overall, Diet Diva went way beyond my expectations. 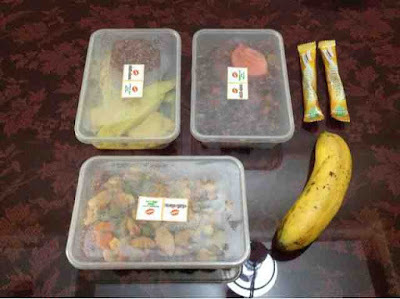 They delivered on time, their dishes taste really good and the portion sizes are just right to get you through the day. I also love the way they care for their clients by sending SMS reminders. I can't wait to tell you about day 2 so stay tuned!